In today’s competitive business environment, effective and reliable communications are critical to the success of your business. Organisations are constantly looking for ways to optimise their business processes, increase productivity and decrease cost. Having the right communications technology to support these objectives is key. Tiecom offers solutions that are tailored to the needs of your business, whether you are looking for Voice over IP (VoIP) or Unified Communications solutions. 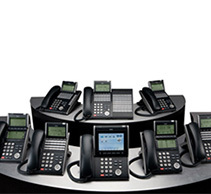 Tiecom designs and installs phone and data networks you can rely on. If you need a new phone system, an upgraded or new data network, or a maintenance partner you can rely on, then Tiecom is the natural choice. For more than 25 years we have been supporting Australian businesses with state of the art voice and data integration and management services.